Planning to eat less meat and animal products, get more fruit and veg in your diet, or just aiming to eat more healthily in 2019? Regardless of your resolution this year, we’ve rounded up our favourite kitchen gadgets to make sticking to it that little bit easier. From gadgets that make eating more of the good stuff more palatable, such as blenders and spiralizers, to ones that help you prepare healthy meals with minimal fuss, such as air fryers and slow cookers, the right kitchen gadget could make the difference between staying on course and straying back to less healthy options. See our round-up below of great gadgets for healthy eating, plus tips on getting the best out of them. Kitchen gadget reviews – browse our independent reviews of everything from kettles to multi cookers. A morning smoothie can make for a convenient and healthy on-the-go breakfast, helping you fit in a more varied range of fruit, veg and protein in your diet. 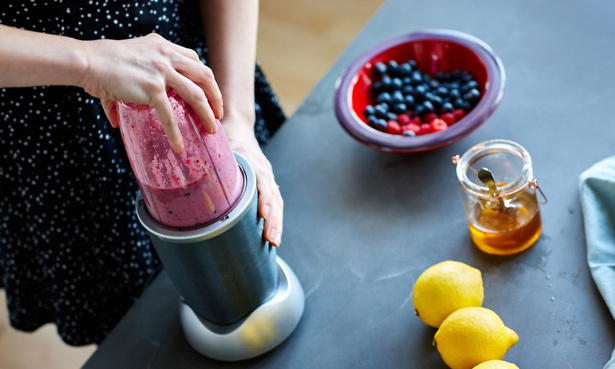 This is where a personal blender can come in handy. These have a single-portion blending cup which comes with a lid, so they can be turned into a travel mug or bottle. Protein powders, nuts and seeds can also be mixed into creations made in a blender, which is handy for those looking to get more protein in their diet. Look for recipes that contain more vegetables, though. Once blended, the sugar in fruit is released as ‘free sugar’, which is high in calories and damaging to teeth. This is why smoothies or juices are only counted as one portion of your five a day, regardless of how much you drink. If you’re trying to cut down on dairy, or even attempting Veganuary, you can use a blender to make dairy-free milks, such as nut or rice milk, too. Smoothie and protein shake recipes – get some inspiration with our quick recipe round-up. Soup makers are handy if you want homemade soup with minimum hassle. They cook and blend in 20-25 minutes, so there’s no need to hover over the hob or wash up lots of pans. Soup is a good source of fibre as you use the whole of the vegetable. Making soup is also a good way to cut waste and save money. You can use any leftover veg to make a batch of mixed vegetable soup for a cost-effective lunch. All soup makers can make smooth or chunky soup. Some give you a wider range of options, though, such as the ability to sauté ingredients to maximise flavour. 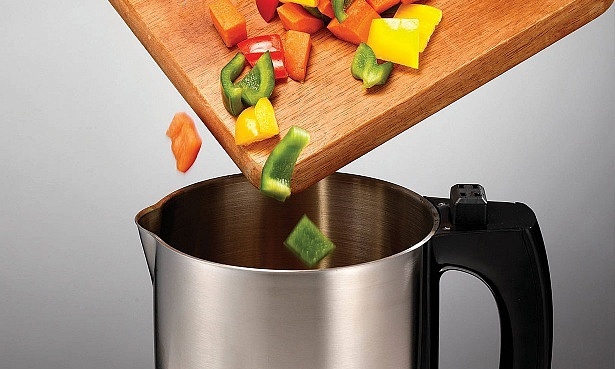 If you’re not sure what you need, or which to buy, see our soup maker buying guide. Use the water that you’ve cooked the vegetables in as a base for your soup to benefit from any vitamins that have leached out during cooking. B and C vitamins are heat sensitive, though, so try adding veg that contain these nearer the end of the cooking process. If you’re looking to increase your protein intake, try adding some lentils to thicken up your soup. Using a little oil to sauté onions or garlic at the beginning doesn’t add a lot of fat to your soup, but can help pack in more flavour. If you want a more substantial meal, you might also want to consider a slow cooker, which can be a handy way of cooking up hearty vegetable stews. For advice on choosing the right one, see our slow cooker buying guide. For the ultimate in automated meal prep, consider an electric pressure cooker. These can do everything from steaming veg to cooking rice, and quickly prepping pulses such as lentils, soups and more. See our guide to the Instant Pot and other electric pressure cookers for more. Spiralizers can be picked up pretty cheaply, ranging in price from £10 to a little over £30. They transform raw fruit and vegetables into long noodle-like strands, which some people use as a substitute for pastas such as spaghetti. You can also make large flat noodles, similar to tagliatelle. It’s a great way to disguise some of your five-a-day. The most compact and basic ones work a bit like a pencil sharpener, slicing veg as you twist them through. Others are larger and have a handle, making it easier to spiralize larger portions. Electric spiralizers are quicker, and you don’t have to use any muscle power to get results. 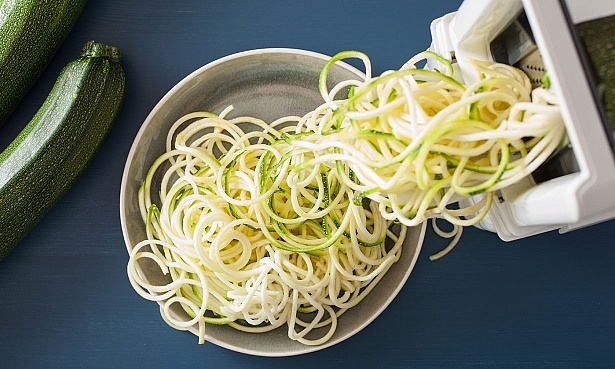 For more advice on choosing the best for you, see our spiralizer buying guide. To compare models and find the best head to our spiralizer reviews. If you love chips that are deliciously golden, crisp on the outside, fluffy on the inside, then an air fryer will make it possible for you to still indulge, without the side-order of guilt. Compared with deep fat fryers, air fryers are a more healthy way to fry different foods. They use a small amount of oil, or none at all, and force hot air through to cook food. But air fryers aren’t limited to just chips. You can fry vegetables, meat, fish and frozen food in them. Some can even be used to make cakes and brownies – although we can’t attest to these being healthy. We’ve found some that turn out delicious golden chips, but others leave you with a half-raw, half-burned mess. 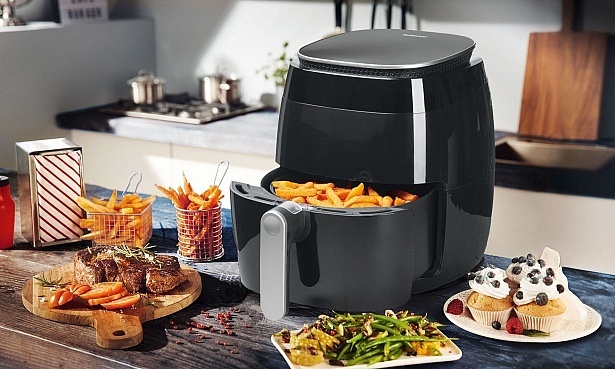 So make sure you check our list of the top five air fryers for 2019 before buying. What better way to pack more fruit and vegetables into your diet than literally squeezing them in? 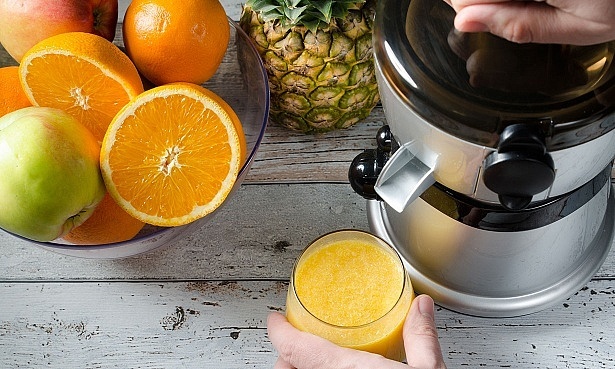 A juicer will take all the arm-work out of making fresh orange juice in the morning, and you can go ultra-healthy with veg-based juices using veg such as carrots, beetroot and leafy greens. 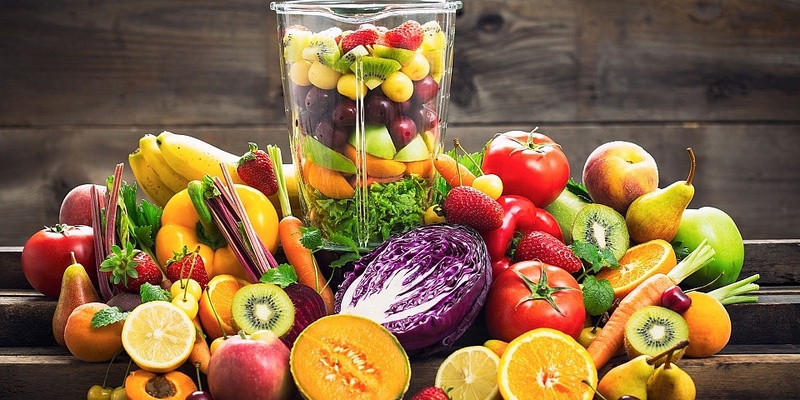 As with smoothies, juices are best enjoyed in moderation, and with a larger ratio of veg to fruit, because they tend to strip out the fibre and leave you with a big sugar hit. For more advice, see our guide to blending vs juicing. The one thing likely to scupper your juice diet ambitions? How difficult they are to clean. Most juicers have six or more separate parts to clean, and some are so fiddly and time-consuming that you’ll soon lose patience and leave them to gather dust. We assess how easy each juicer is to clean, so be sure to check out our round-up of the best juicers for a easy-clean model. 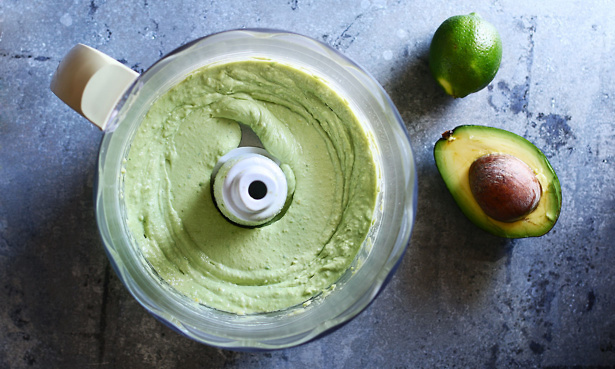 You can make all kinds of homemade dips, sauces, nut butters and more in a good food processor. This will not only save you money, but also be a more healthy option, as many store-bought options will have added salt and sugar. By using the slicing or grating attachment, you use your food processor to sneak more vegetables into your everyday meals, too. Try replacing half the mince you would use in a bolognese with grated carrot, for example, as a way of cutting down on fat and increasing the amount of nutrients in your meal. Our food processor tests cover up to 14 different kitchen tasks including chopping, grating, dicing, blending, kneading, whisking and more. See which models we recommend in our round-up of the best food processors. Food processor, mixer or blender? See our guide to choosing the best gadget for your lifestyle. Poll: which kitchen gadget is your favourite? Tell us which gadget you think makes it easiest to eat more healthily in our quick poll below. Which kitchen gadget is your favourite?